There is nothing like shooting a reception and making your way over to the cake table to take in the decadent smell of buttercream frosting. If we are shooting your wedding you might find us circling the table like hungry wolves. We promise we won’t touch, but we secretly want to bury our faces in all that yumminess! We love cake! And our couples do too! We put together our top 5 cake recommendations for wedding cakes in Virginia. This list was hard to compile because there are so many good ones! Also, don’t feel like you have to limit yourselves to just cake! We have seen donuts, macaroons, and more! The options are only limited your imagination and well…maybe also your budget! Now off to our favorite Top 5 Virginia wedding cakes! Patti Cakes developed from Emily Patti’s love of both sweets and art. She infuses her enthusiasm and imagination into every project she takes on. Growing up in Virginia Beach as well as rural New Hampshire inspired a love of the beach, mountains, nature and most importantly people. Meeting with clients is the best part of my job! Settling in Moyock, North Carolina yields a perfect balance for Patti Cakes and allows us to service the entire Hampton Roads area as well as the Outer Banks of North Carolina. 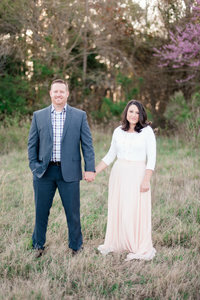 See a recent Patti Cakes wedding HERE. Debra Miller has been baking since she was 7 years of age. As a young child, she watched (and enjoyed) the pastries and baked goods that her grandmothers and mother made. There was always a pie, cobbler, cake or cookies freshly baked on the kitchen counter. She read and studied her mother’s vast cookbook collection and in college began a long period of self-taught French pastry baking, with croissant dough rising on any free table surface of her college apartment. She opened the bakery in 1989 and her long history of baking became the cornerstone of her philosophy that the products should taste as good as they look. The bakery creations blend both vintage and modern aesthetic elements that please even the most discerning clients. See a recent Incredible Edibles wedding HERE. Custom boutique wedding cake bakery that services Williamsburg and surrounding counties including Gloucester, Newport News, Yorktown, Kilmarnock, and the Northern Neck. See a recent Cindy Cakery’s wedding HERE. They quickly realized this side project of theirs could be something more. There was a gap in the world for delicious cakes, readily available, that didn’t compromise on their ingredients. Real eggs, butter, and cream cheese; nothing was too good to achieve perfection. And perfection is those decadent, slowly melting bites, we all know and love. See a recent Nothing Bundt Cake wedding HERE. Edibles Incredible Desserts has created wedding cakes for thousands of couples in the Washington D.C. Metropolitan Area. Their expert staff of pastry chefs and professional decorators are well-known for creating delicious cakes of beauty and elegance. Flavor, design, and the ultimate look are ALL about your desires for your special day. If you can envision it, they can create it. See a recent Edibles Incredible wedding HERE. One tip that we want to share as you begin thinking about your cake, is a taste test! Test all the cakes! Choose a custom cake that fits your palette and don’t be afraid to be unique and different! See our Top 5 Floral Designers!